It appears as though three Rooivalk attack helicopters are being painted white and prepared for deployment to the DRC, in an effort to augment Force Intervention Brigade operations against M23. 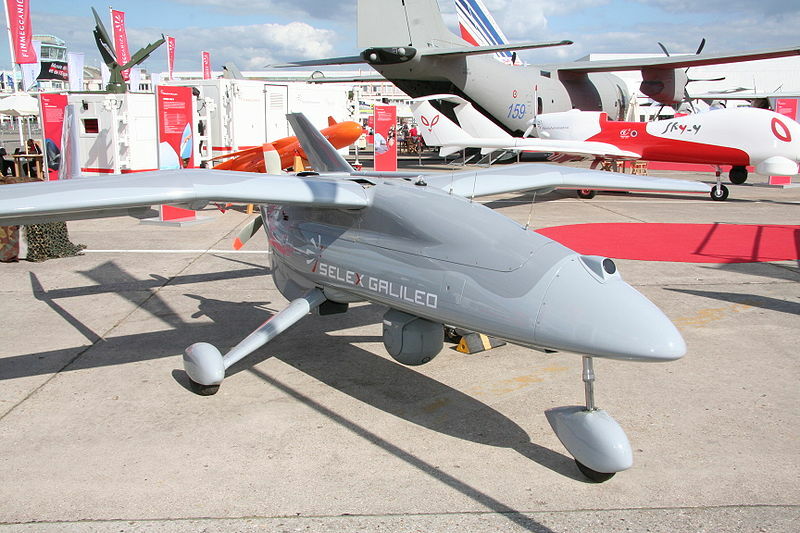 In addition, Selex ES, an Italian UAV manufacturer, will be deploying Falco drones to the region to provide surveillance for ground forces. Each of these have interesting consequences. During the August fighting for Kibati Heights several Mi-24 attack helicopters conducted aerial reconnaissance of M23 positions. Lightly armed, they began taking fire and retaliated in kind. But for the tempo and intensity of fighting at Kibati, ageing Eastern Bloc helicopters were not the right tool for the job. The Rooivalk is. 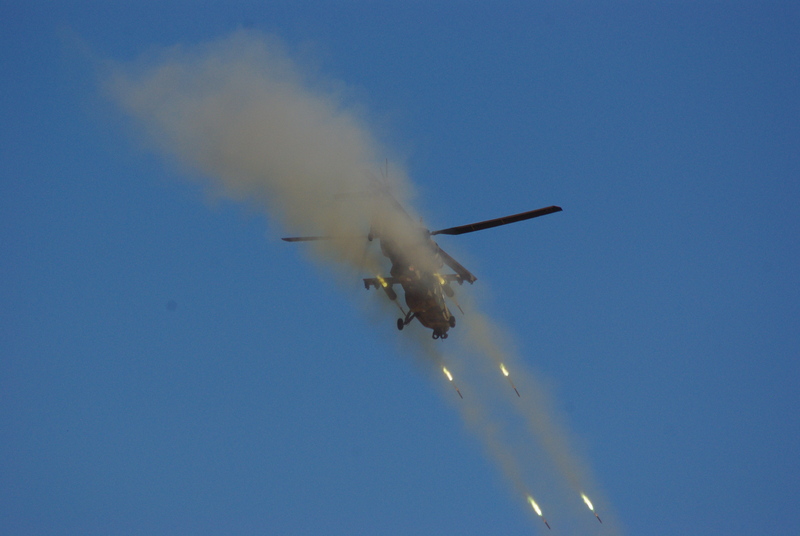 Armed with unguided rockets and a powerful 20mm high velocity cannon, the Rooivalk can direct accurate and effective firepower on rebel positions from a better position than the Mi-8 or Oryx. Beyond this, the helicopters are able to provide good reconnaissance for ground forces through sophisticated imaging avionics hardware. Most critically, they will be able to provide this reconnaissance day and night, regardless of weather conditions. As such, their addition will be a valuable one as FIB forces begin further movements toward M23. Although the SANDF itself has virtually no budget to fly their Rooivalk, deployment through a UN mission will pay for it through MONUSCO funds. All well and good, except there is a good chance a lot of the refunded money will go straight to Treasury, forcing the Air Force to negotiate with Treasury for their money back. The deployment of drones in a peacekeeping mission, in a tender won by Selex ES through the UN, is significant. Providing surveillance of rebel positions in the Eastern DRC, the Falco drones will be operated and maintained by Selex themselves and liaise, presumably, with FIB commanders on the ground. Although useful in aiding the spotting for artillery and M23 positions for ground commanders, this raises an interesting ethical question. How legal is it for non-military personnel to operate a drone in a combat zone? Traditionally drones are used peace-time UN support operations, but their use here would be fed directly into the “kill-chain” of combat operations. Unlike static maps and consultancy-based intelligence, they will be operated in a combat zone by employees of a company. Under conventional laws on war these operators and their drones would be legitimate combatants, and thus open to attack by enemy forces. Because this deployment is remarkable for the context it is held in, however, it has thus far progressed as an evolution from defence-posture UN operations, eliciting nary a sideways glance as to the morality of civilian-operated drones. That said, there is no guarantee Selex will be providing direct surveillance on M23 positions per se, but it remains a strong possibility until the SANDF or another contractor provides additional drones specifically and explicitly for the FIB. Nonetheless, tactically-speaking, the information gained from both the Falco drones and the Rooivalk, as well as the option to effect direct force on identified rebel forces quickly and effectively from the air is an invaluable one. For the FIB, once these units arrive in-country, the brigade will be on a strong footing to resume the fight against M23, who has had ample time thus far to recuperate and rearm following their defeat at Kibati Heights.